Let Holiday Inn Chengdu Qinhuang be your sanctuary away from home to Chengdu. 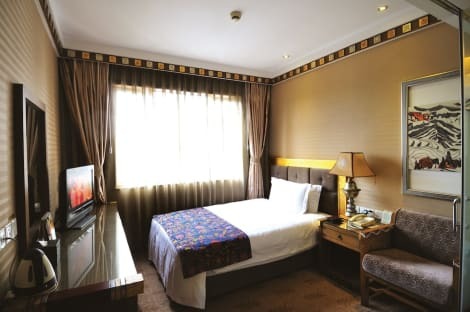 Conveniently located in the CBD of Tianfu New Area, one step from the biggest Int'l Exhibition Center in West China, 30km from Chengdu Shuangliu Int'l Airport and 26km from South Railway Station, we are close to attractions like Qinhuang Di Jin, Global Center Shopping Mall, Huanglongxi Hot Spring Ancient Town, Xinglong Lake, and Tiexiang Temple Leisure Area. Commute easily to other parts of the city with the nearby Metro Line 1. Holiday Inn Chengdu Qinhuang guestrooms all feature flat-screen tv, satellite channels, work desks with ergonomic seats and high-speed Internet access. Let us support all your secretarial needs with print, fax, copy, email and IT services. Host your events in 8 multifunction meeting rooms, 1 Grand Ballroom with 8 meter high ceiling which seats 650 guests of banquet style and VIP room, what’s more we have Holiday Inn Chengdu Qinhuang Banquets Sales and Service team can also customize our facilities to suit your event’s needs. Renew your body with a workout in Holiday Inn Chengdu Qinhuang modern Fitness Center. Indulge your appetite in our master chef’s finest creations at Chinese restaurant or in our all-day dining restaurant and room service. Treat yourself to an afternoon tea or evening cocktail at Lobby Bar. Make Holiday Inn Chengdu Qinhuang your first choice in Chengdu. Located in the main lobby of the hotel and offering a warm welcome, courteous service and a truly relaxing atmosphere. The Lobby Lounge is the perfect venue for informal meetings during the day or in the evening to relax and enjoy the entertainment. A wide range of beverages is offered together with a light snack menu. Make yourself at home in one of the 271 air-conditioned rooms featuring refrigerators and minibars (stocked with some free items). Wired and wireless Internet access is complimentary, and LCD televisions with cable programming provide entertainment. Private bathrooms have complimentary toiletries and bathrobes. Conveniences include phones, as well as desks and complimentary newspapers. With a stay at Niccolo Chengdu, you'll be centrally located in Chengdu, just a 5-minute walk from Chengdu IFS and 7 minutes by foot from Taikoo Li. 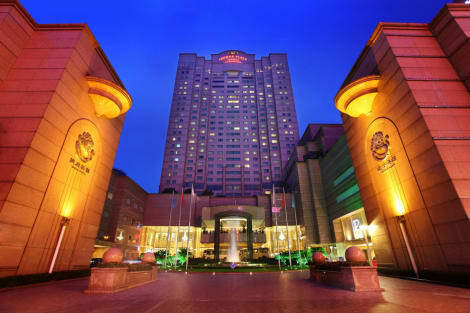 This 4.5-star hotel is 1.8 mi (2.9 km) from Tianfu Square and 1.8 mi (3 km) from Sichuan University. At ibis Chengdu Yongfeng Hotel, enjoy a satisfying meal at the restaurant. Quench your thirst with your favorite drink at the bar/lounge. Buffet breakfasts are available daily for a fee. With a stay at Ane Hotel - Xinhong Branch in Chengdu (Chengdu City Centre), you'll be within a 15-minute drive of Wenshu Monastery and Taikoo Li. This hotel is 1.8 mi (2.8 km) from Chengdu IFS and 2.9 mi (4.7 km) from Chengdu University of Technology. Make yourself at home in one of the 192 air-conditioned rooms featuring flat-screen televisions. Complimentary wireless Internet access keeps you connected, and satellite programming is available for your entertainment. 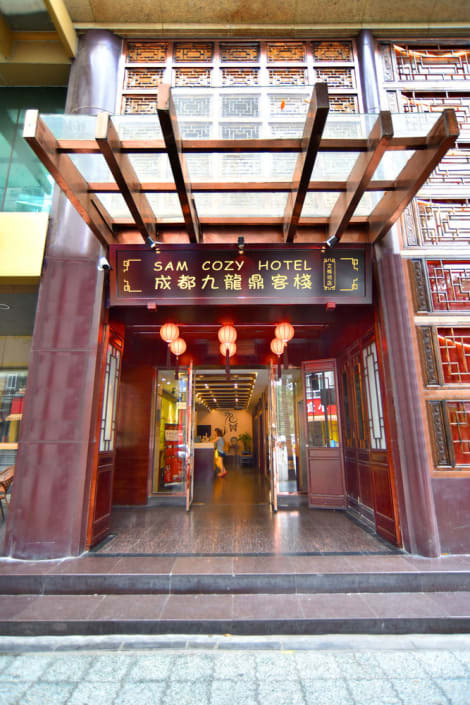 This hotel enjoys a convenient setting in Chengdu. Nestled amidst the heart of the city, this hotel is a great option for business and leisure travellers alike. Guests will find themselves immersed in the rich culture and history of the area at this hotel. The hotel is located just a short distance away from links to the public transport network. This wonderful hotel extends a warm welcome to guests upon arrival. The well-presented guest rooms offer a peaceful setting, in which to completely unwind at the end of the day. The rooms are equipped with modern amenities. Guests are assured of a comfortable, enjoyable stay at this hotel. lastminute.com has a fantastic range of hotels in Chengdu, with everything from cheap hotels to luxurious five star accommodation available. We like to live up to our last minute name so remember you can book any one of our excellent Chengdu hotels up until midnight and stay the same night.